June 20th 1837; Queen Victoria ascended the British throne following the death of her uncle, King William IV. Victoria was born at Kensington Palace, London, on 24 May 1819. She was the only daughter of Edward, Duke of Kent, and fourth son of George III. Her father died shortly after her birth and she became heir to the throne because the three uncles who were ahead of her in succession - George IV, Frederick Duke of York, and William IV - had no legitimate children who survived. Warm-hearted and lively, Victoria had a gift for drawing and painting; educated by a governess at home, she was a natural diarist and kept a regular journal throughout her life. On William IV's death in 1837, she became Queen at the age of 18. 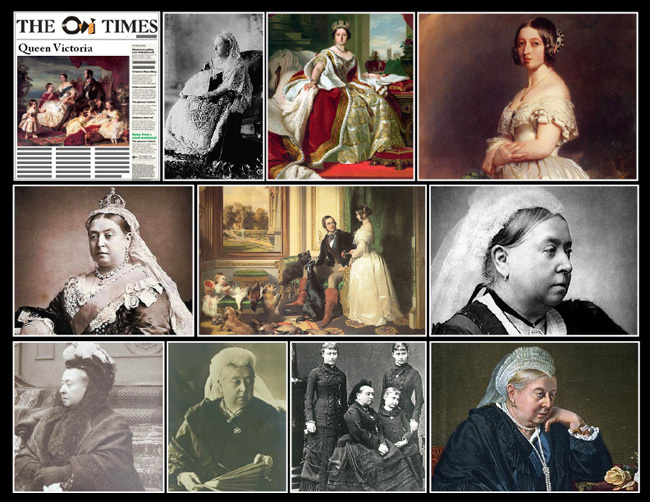 Queen Victoria is associated with Britain's great age of industrial expansion, economic progress and, especially, empire. At her death, it was said, Britain had a worldwide empire on which the sun never set.